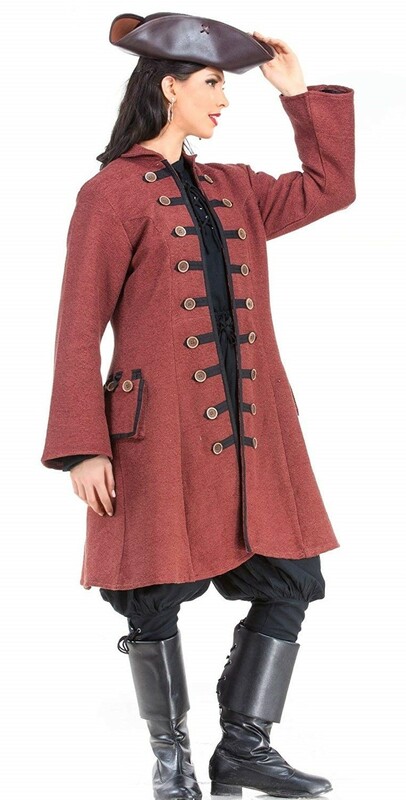 Get ready to sail the seven seas with this pirate coat from The Pirate Dressing! 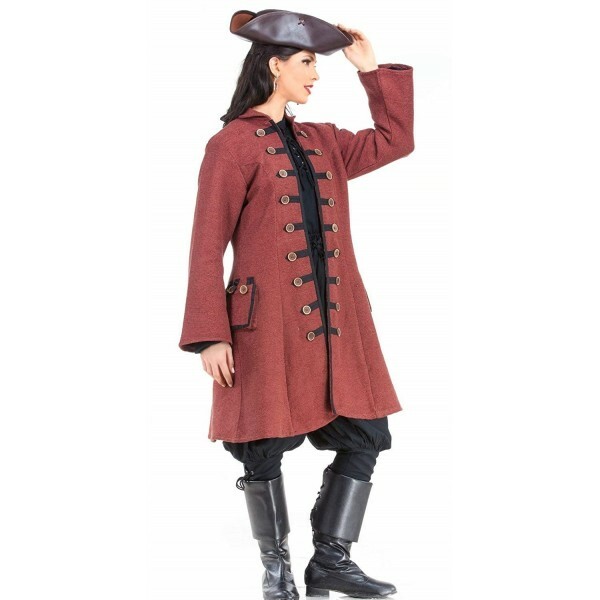 The design of this coat was inspired by authentic pirate coats worn during 1800s. This coat is beautifully made, with authentic, rustic cotton fabric in a rusty brown and weathered wooden buttons, plus functional side pockets and a full linen lining. It's a durable, high-quality costume piece that you'll enjoy for years! Please note: additional accessories not included.